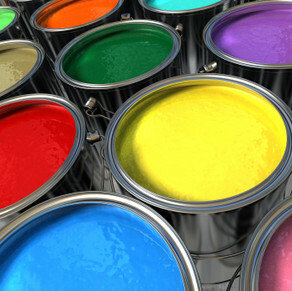 Kaolin is extensively used as an extender in decorative paints, providing high covering power, desirable flow and suspension properties, as well as viscosity, corrosion and weathering resistance. Another main area of use is in polymer systems, where calcined clays impart dimensional stability, mechanical strength, improved electrical properties and superior colour. Hydrous clay is used in water-based paint, where coarse grades (Puraflo S and CC) provide a matte finish (emulsion paint). Coarse kaolins (Puraflo S and CC) are also used in a variety of rubber applications because of their favourable cost/performance ratio. They impart a degree of reinforcement, may be used at high volume loadings and are very easy to disperse. Calcined kaolin (MM95 and MM90) provides superior opacity and film integrity in solvent-based paint, water-based paints, and road marking applications. MM95 calcined clay imparts excellent electrical insulation properties to low and medium voltage power cables. Its low moisture absorption properties are maintained under wet operating conditions. 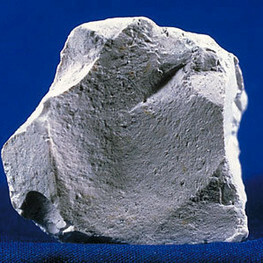 Extrusion and calendering of rubber can benefit from the processing properties of calcined clay (MM90 and MM95). Products can be manufactured with a very smooth finish and excellent dimensional control, due to the low die swell imparted. All clay fillers share some common features because of the plate-like shape of their particles, which results in some stiffening of the rubber compound. This gives much better extrusion and calendering properties (exhibiting low die swell and good dimensional stability) than can be obtained from most other mineral fillers.